Are you looking for some inspiration or an overview of the most popular watches? With each watch only listed once, finding that perfect timepiece has never been easier. 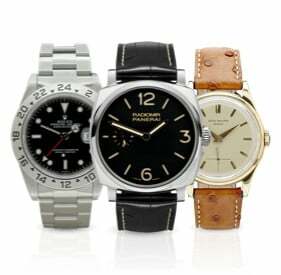 Simply click on your favorite watch below to view all the best offers for that make or model. Seiko Men's SLA021J1 (SBDX023) Limited Ed. Omega Speedmaster Moonwatch Professional "Tintin"
Unfortunately, we couldn't find any offers matching your search.